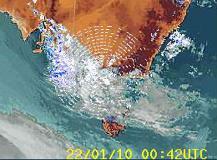 radar over the South West. 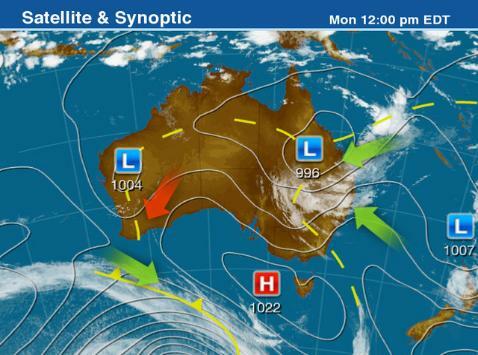 this time over the south east..
the 22nd seen in Fig 02.
mostly clear in the south under a high pressure ridge. 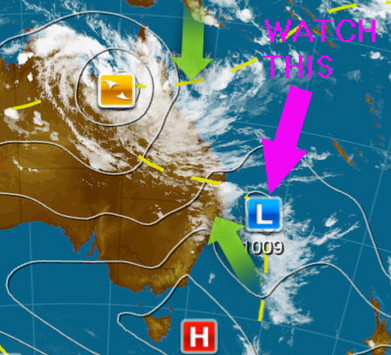 the north of the country - watch this low pressure system. 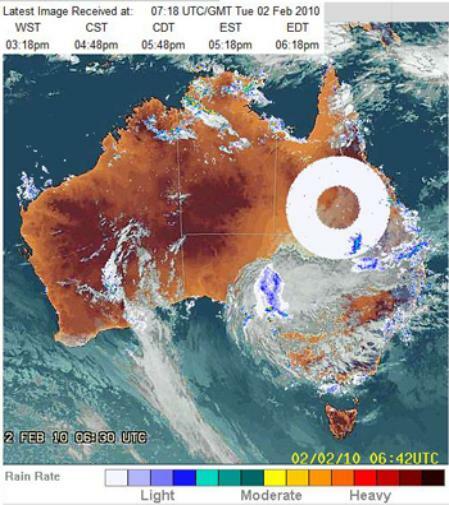 Tropical Cyclone Olga now formed over the north of Australia. 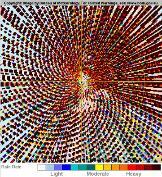 Watch the HAARP "
modification engineering via HAARP with other ground based installations? here at this site on January 27th. events developing surrounding Cyclone Ogla I judged I should post it now anyway. Australia with the help of many people in that country since January 16th. 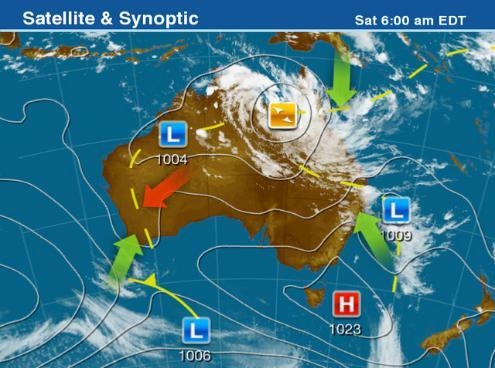 major tropical cyclone Olga positioned over the north of the country. new system approaches - we will be monitoring. Waiting to hear from top expert in Australia. Radar returns (signals) are composed of microwaves. 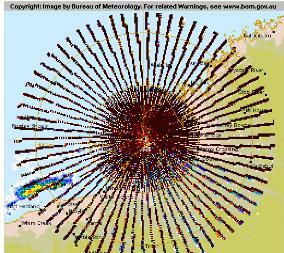 That goes for weather satellite radars. computer-controlled directed-energy microwave beam weapons. substitute radar returns anytime they wish. Being egotistical, the Cabal like to show off their shiny new toys. destroyed Olga or it dissipated. bubble as the Melbourne Low merged with it. 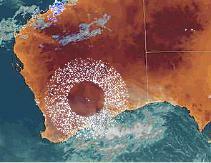 satellite imagery indicated the storm was strengthening. 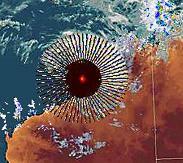 before it makes landfall near Normanton, Queensland on January 30.
the perfect cup of tea by HAARP? would probably be more assuring if we knew they came from nature herself. just six days ago BEFORE the big weather buster cyclone Olga formed. 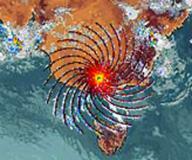 simultaneously in Australia and the Arabian peninsula.